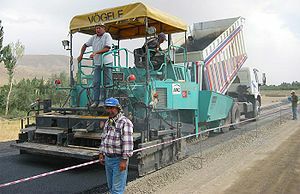 Areas paved with asphalt concrete—especially airport aprons—have been called "the tarmac" at times, despite not being constructed using the tarmacadam process. ^ Valdes, Fred (2009-08-21). Tarmac. Xlibris Corporation. ISBN 9781465322425. 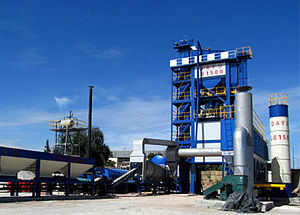 This page was last edited on 18 April 2019, at 22:56 (UTC).